ONE LEFT! LOT 901 ALREADY SOLD SO BE QUICK TO SECURE THIS ONE!! 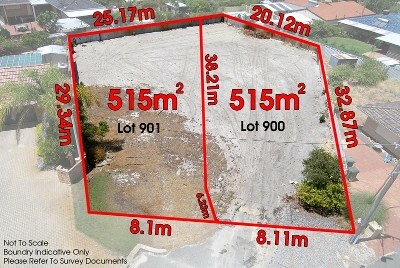 Prime piece of earth in Dianella ready for you to build your home. Large 515sqm green titled lot, all services in place, lovely and quiet cul de sac street. Minutes walk to Dianella Open Space parks and sports ammenities, bus routes & schools. Dianella Plaza Shopping Centre on your doorstep too. Titles issued and ready to go. Secure this great opportunity NOW!! Call John De Leo, Force Real Estate on 0407 472 155.